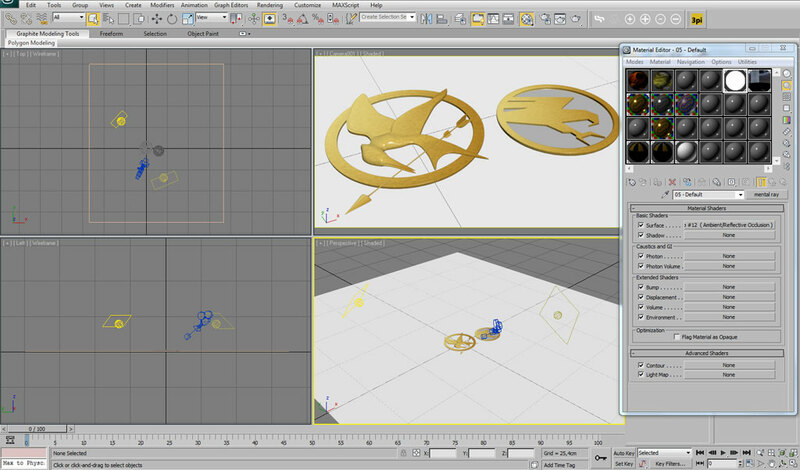 Some time ago we received a direct mail with a question about modelling a Mocking Jay pin and GDI logo using 3ds Max and because we try to fulfil the needs of our users we decided to create an tutorial about modelling both items. 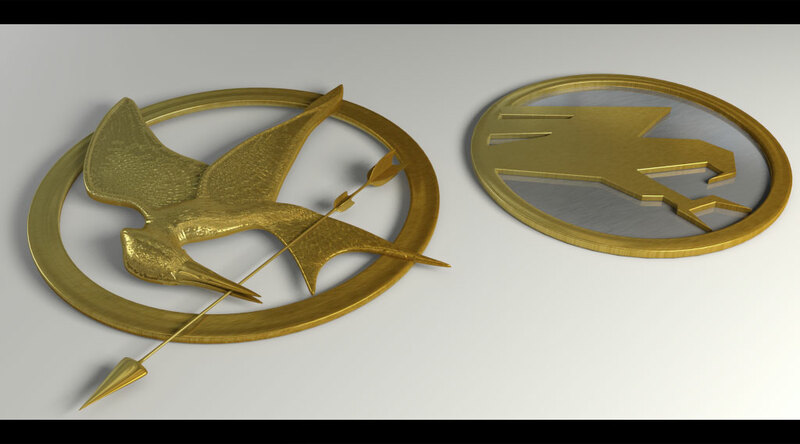 Looking at the reference pictures we got, we realized that the GDI logo is not such a problem as the Mocking Jay pin. 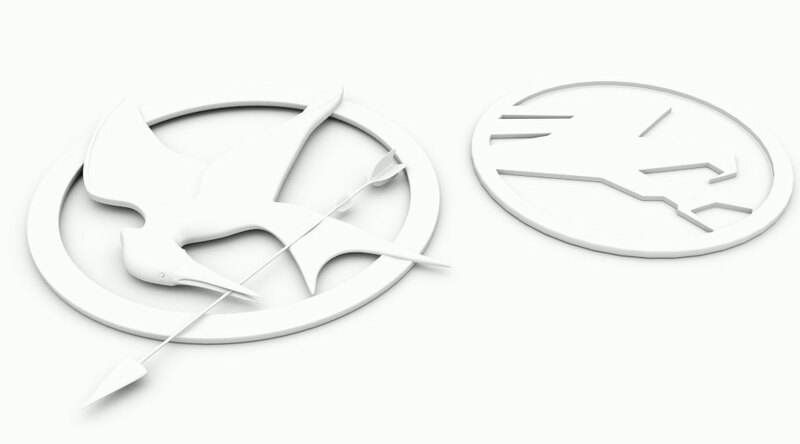 The reason for that was the fact that comparing both items together the GDI logo is flat but the Mocking Jay pin has some shape because it shows a bird which of course is displayed more or less naturally also on the pin. After some searching for more reference pictures we started the modelling process. The first step as by other tutorials is setup the scene together with the reference pictures according which we will model. Because we are always modelling in real-world scale one important thing by this is the „unit setup“ inside 3ds Max which in our case is set to centimetres. After placing the reference pictures we will start the process of modelling by deciding which method or approach to use by both items. In this case we will use for both items box-modelling technique which is very similar to poly-modelling technique but instead of using a single poly as a start element we will use a box. 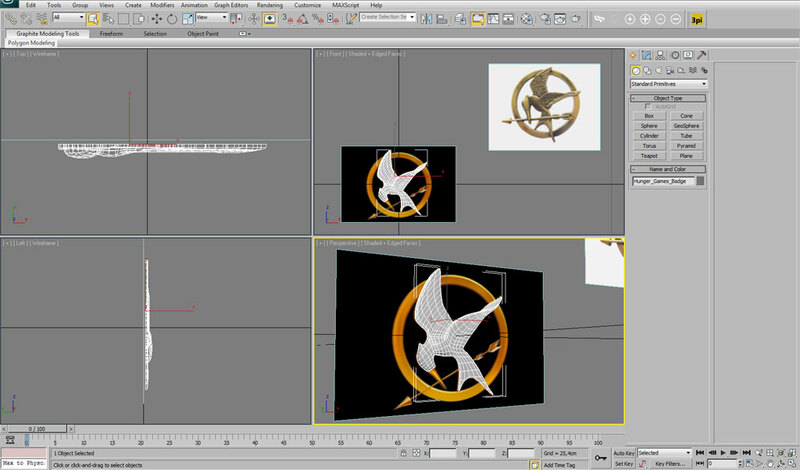 We will start the more difficult object at first, Mocking Jay pin, and position the box on our reference picture. 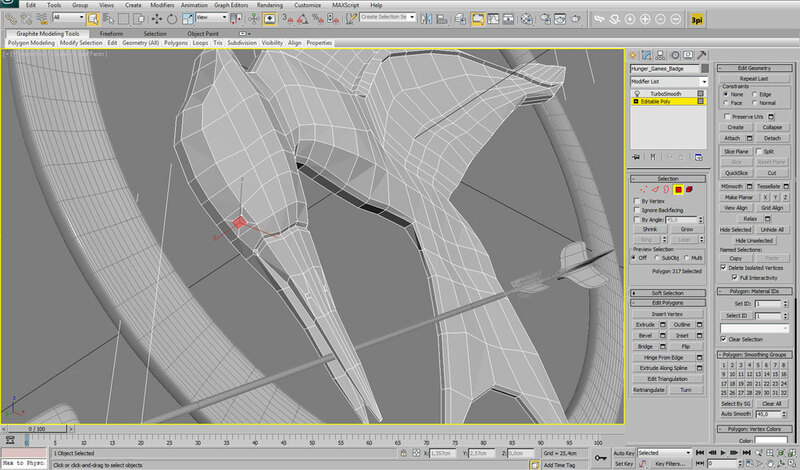 Using editable-poly technique and functions we will extrude, move and position separate parts of our object to fit our reference picture and copy the shape we see. By moving separate parts we will achieve the shape of a bird and create also the rest parts of the pin. 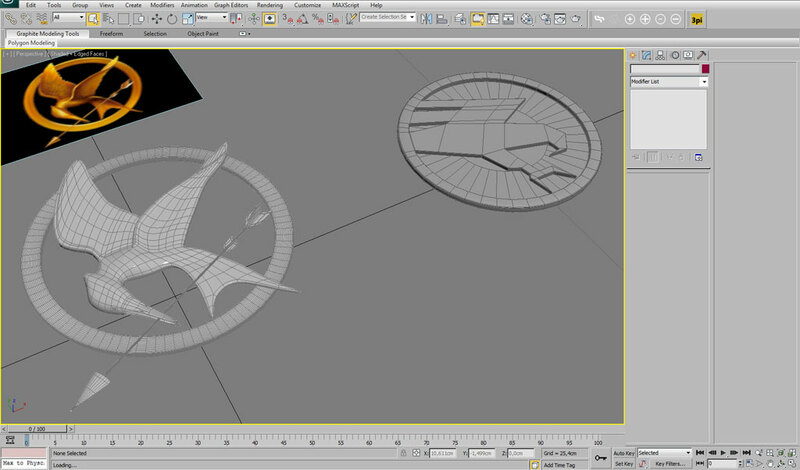 After finishing the first item we will proceed to the GDI logo. Because here the shape is flat but also very sharp we will very simple apply a similar technique as before also here and quickly create the logo and all of his parts. Later we will a bit change the final item to look a bit smoother. We will use the 3D-Sphere material library which you can download from the menu on the left side of 3D-Sphere and apply materials to our model. For rendering i will use Photometric Lights and MentalRay for realistic looking result. At the end together with the final render we will render also an Ambient & Occlusion map and do some postproduction in Photoshop. You can watch the tutorial below and if you have any questions, just write us.